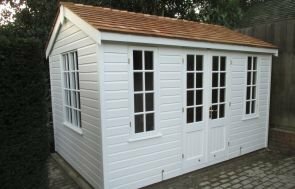 It has a distinctive octagonal roof covered with naturally sympathetic cedar shingles and eight opening windows that feature attractive leaded glass. 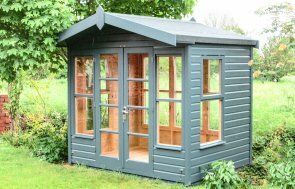 Smooth shiplap cladding coats the exterior and is painted in the shade of Sage, which was selected by the customer from our vast range of exterior options which also includes a Farrow and Ball palette for customers with a specific shade in mind. 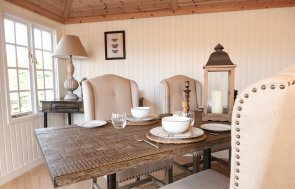 Internally, the Summerhouse is fully insulated with a natural lacquer on the floor and natural pine lining which gives a warm and cosy feel inside. 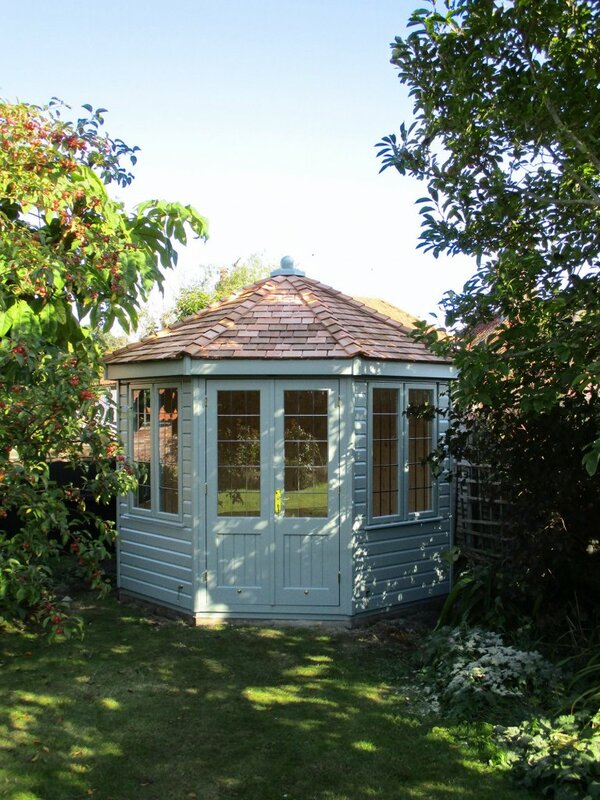 If our beautiful Wiveton Summerhouse has inspired you, you can view it for yourself at one of our UK show sites which you can locate here. At each of our show sites there are up to 25 different display buildings for you to browse as well as a team of expert advisors who can answer any questions you might have. Alternatively, you can get in touch with us on 01760 444229.